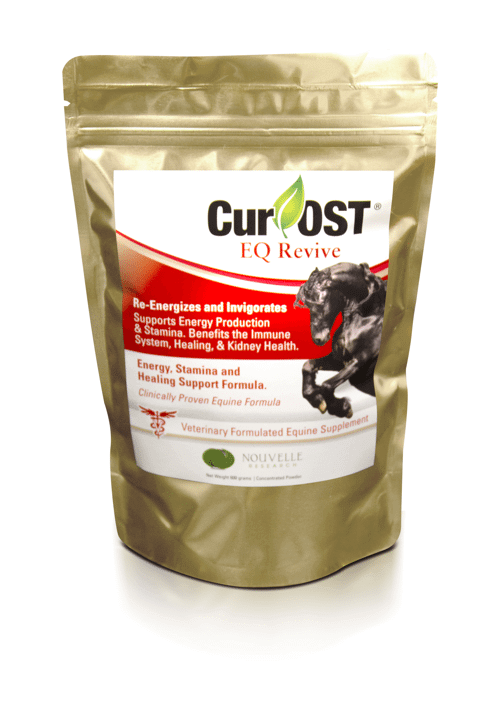 Cur-OST EQ Revive Supplement Re-Energizes & Invigorates the Equine Body and Strengthen the Back. Research Supported to Enhance Energy, Stamina, Respiratory Function, Performance and Recovery by Impacting Cellular Energy Production! Perfect for the sluggish horse with poor stamina or those experiencing breathing or back related problems. Potent levels of Cordyceps and Astragalus to take performance to a new level! Cur-OST EQ Revive Boosts Energy. Supports Back Health. Enhances Performance, Recovery & Stamina. Supports Lung Function. Does your horse lack energy? Seem sluggish? Is he experiencing ongoing back soreness or breathing problems? Cur-OST EQ Revive supplement supports cellular energy production within the body through two key herbs, enhancing stamina, cellular energy production, performance, and recovery on many levels. In order to compete and recover, the equine body requires energy production at a cellular level. The diet provides the framework for energy production, but Cur-OST EQ Revive assists in cellular energy production on a whole new level. Cordyceps sinensis and Astragalus membranaceus benefit the body through enhanced cellular ATP production, balance nitric oxide levels to improve circulation, promote healthy levels of inflammation, support healthy immune function, back, kidney and lung function. Cordyceps sinensis and Astragalus membranaceus have been used for years to promote overall health, energy and vitality, providing benefits to the entire body, including sore backs. Benefits horses in need of a boost in energy, stamina, performance, recovery and overall lung function. Take your horse’s performance and stamina to the next level! 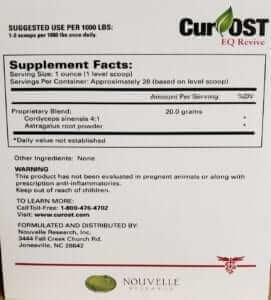 Cur-OST EQ Revive is beneficial in many equine health conditions to support overall health and cell energy production. Especially beneficial to those horses with respiratory ailments including COPD, AID and EIPH that may be compromised due to poor lung health. Supports and boosts overall lung health and pulmonary function. Also aids those horses that are chronically fatigued, stressed and low on energy production or may need a boost to assist long-term recovery from intense training, competition or health recovery. Beneficial for kidney conditions and weak backs that are in need of further strengthening. Can be used in combination with any Cur-OST formula to achieve the results you are seeking for your equine athlete! 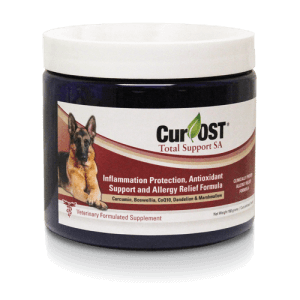 In cases of respiratory allergies, Cur-OST EQ Revive can be used along with the Cur-OST EQ Total Support for optimal results in the easy-keeper type. Demonstrated in a clinical research trial to reduce competition times in barrel racing QH’s by 0.3-0.5 seconds in run times! Will the EQ Revive make my horse “hyper” or hard to handle? The EQ Revive is intended to improve cellular energy production, thusly improving overall cellular health on many levels and improve healing potential, performance, stamina and recovery. In our clinical studies, the horses receiving the product do have an increased energy level but have not proven hard to handle or excessively excitable. Is the EQ Revive legal for horse competition? Is the EQ Revive a “Performance Enhancer”? The EQ Revive was not designed as a stimulant, but more created to rebuild the body, helping it to function on a higher level. In many cases, due to chronic health ailments, the body’s ability to recover and generate energy is diminished. Through proper support of these pathways, health can be promoted, and thusly, the body may perform better overall. 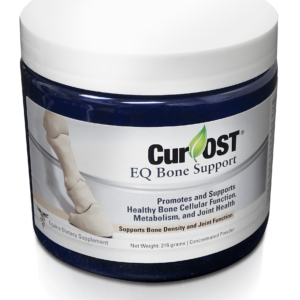 Can the EQ Revive be used with other Cur-OST® equine formulas? Yes, we have used the EQ Revive formula in conjunction with all of our formulas. Can the EQ Revive be used with other supplements and medications? 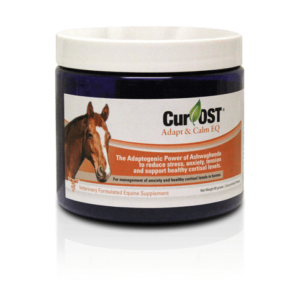 The Cur-OST EQ Revive can benefit the horse in many aspects from immune health to lung function to performance and energy. The Cur-OST EQ Revive is not a ‘stimulating’ product, but is considered a ‘tonic’, helping to support overall cell health on many levels. Concurrent use with other ‘enhancing’ supplements may prove counterproductive. The best option for most horses is to have a basic regimen, rather than relying on multiple supplements which may interact potentially. Use with medications is at the discretion of the owner and veterinarian. Can the EQ Revive benefit my horse with breathing problems? Yes, we have noted a significant improvement in many horses that are afflicted with various respiratory conditions. Both of the herbs in the formula have a history of use in respiratory conditions, but also in general improve cell health and immune function, thus the entire body can benefit. Is the EQ Revive safe for long term use? As with all supplements, continual usage is patient dependent. We have used the EQ Revive for up to one year, daily, with no noted side effects or problems in research patients. Health conditions do change in horses, so we recommend re-evaluating your supplement regimen intermittently to determine the best possible solution to aid your horse. Revive is a game changer for my mare that suffered from Allergies. Not only does she recover faster, the extra stamina and energy is just a bonus. It’s not ‘crazy’ energy, it’s focus driven. So exciting! Switched from Total EQ to Revive and my mare found another gear. I saw an immediate improvement in speed & power. I’m having to up my own game to stay with her leaving the barrels. Coincidence? Maybe. But we were in the 2D for the first time out of 180 horses. I’m pleased.